200 W. 39th St. (Seventh–Eighth Aves. ), 30th fl. Rooftop bar, set 30 stories up, delivers a classically-styled cocktail lounge with expansive, panoramic views of the Hudson River, Empire State Building, Midtown Manhattan. Function rooms. Bar closed Sat., Sun. (open for private functions only). 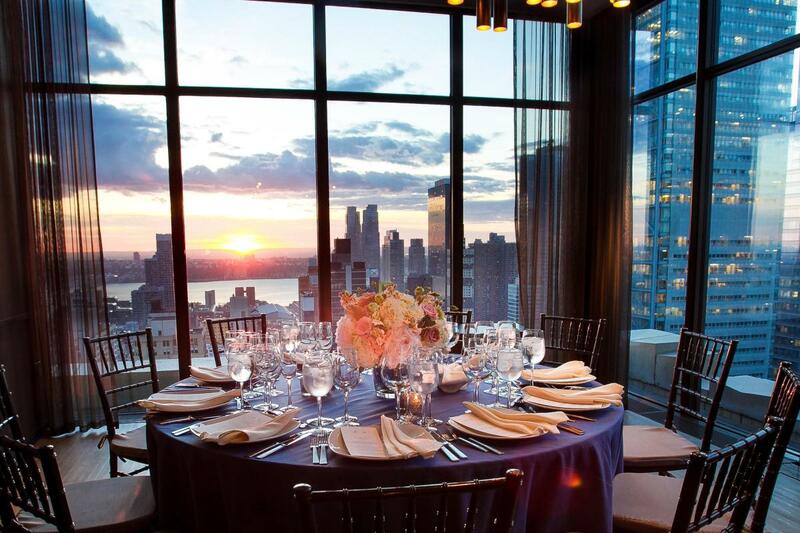 With multiple event spaces and stunning NYC views, this bar delivers the perfect rooftop setting for intimate get-togethers, corporate events, weddings or any occasion. Function rooms, 4; capacity 25 banquet, 12–250 cocktails, 15 classroom; total 4,200 sq. ft.